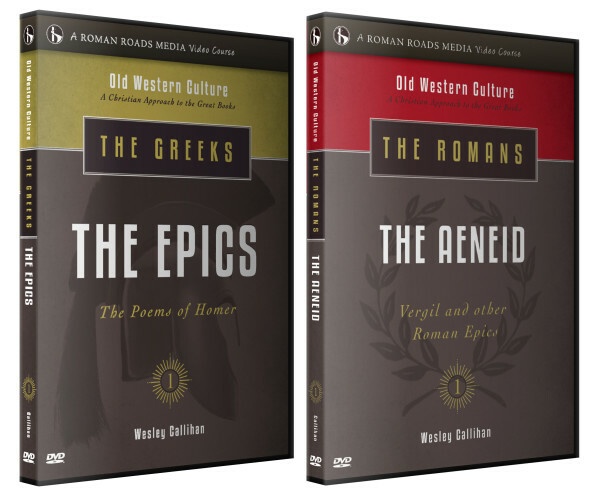 A new bundled product, featuring Greeks: The Epics, and Romans: The Aeneid. Click on each link to learn more about the indivudal unit. 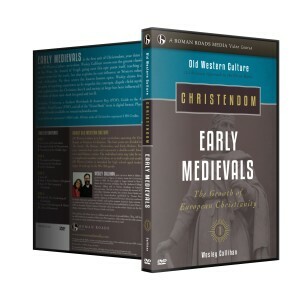 Together they cover the major epics of classical antiquity! These two units make up 1 High School history credit. 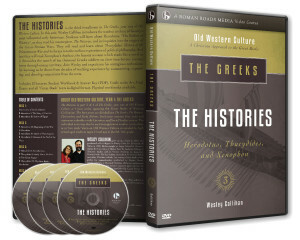 Join Wesley Callihan in this video course and experience his contagious enthusiasm for learning as he draws from decades of teaching experience by summarizing, expositing, and drawing connections as he guides you through the Great Books! 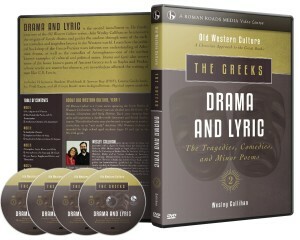 This course is for High School age students, and is loved by adults as well. 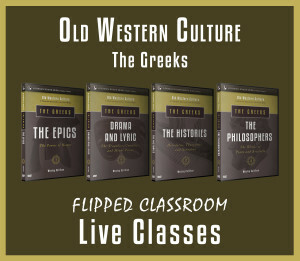 Introduction to Old Western Culture and Trailer for The Aeneid. When you purchase the Old Western Culture Epics Bundle you receive the DVD set and access to the online streaming portal for both Greeks: The Epics, and Romans: The Aeneid.